March Madness is upon us, which means people across the United States are frantically filling out their tournament brackets before the 2014 NCAA men’s basketball playoffs begin on Thursday.But it wasn’t always this way. March Madness is upon us, which means people across the United States are frantically filling out their tournament brackets before the 2014 NCAA men’s basketball playoffs begin on Thursday. The NCAA tournament was, at one time, a rather quaint affair, with just eight teams involved from 1939 until 1950. By 1975, however, the field had grown to include 32 teams before expanding to 48 in the early 1980s. The current field of 64 took hold in 1985 (though play-in games were added in 2001 and 2010 to include, technically, 68 teams). With so many teams vying for a championship, someone had to make sense of it all. It just so happened that a young sports writer and St. Joseph's University administrator named Joe Lunardi was the one who did it. Twenty years ago, Lunardi published his first guide to the NCAA basketball tournament in the Blue Ribbon College Basketball Yearbookand "Bracketology" -- the art and science of forecasting teams that will be selected to take part in March Madness -- was born. Lunardi's exhaustive work -- he broke down all 64 tournament teams in exquisite detail, sometimes working off of cocktail napkins -- was so influential and popular among sports media, he was soon hired by ESPN. He's been expounding on the subject for the sports network ever since via television and on his very own Bracketology page. Lunardi even teaches an online course at St. Joseph's called "The Fundamentals of Bracketology". The course includes a history of the NCAA Tournament, the team selection and seeding process and the analysis undertaken by individual schools and conferences to position themselves for NCAA championship participation. Students conduct a realistic mock bracket as the final exam. What started out as a labor of love by a basketball fanatic has somehow turned into something much bigger. 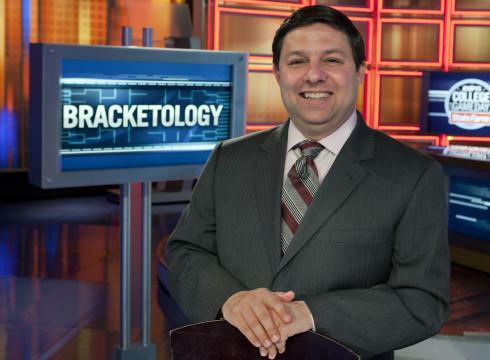 Bracketology has become a ubiquitous term in recent years and has extended beyond its original connection with Lunardi. Sports writers now use the term colloquially to refer to any discussion or breakdown of the NCAA tournament. A cottage industry of other self-styled "Bracketologists" has emerged to build on Lunardi's original work. No one has been able to trademark the term over the years, either. 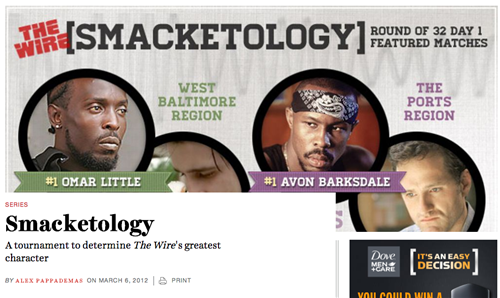 Bracketology, it seems, now belongs to everyone. 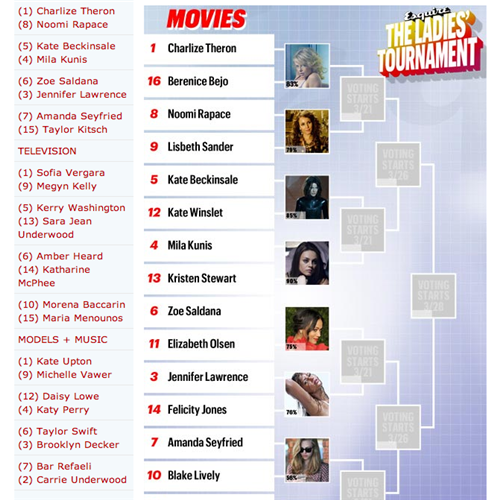 Bracketology and its methods have even influenced pop culture. Its competitive format spawned two books written by Richard Sandomir and Mark Reiter, who took the concept and applied it to such arcane topics as film deaths and ad slogans. 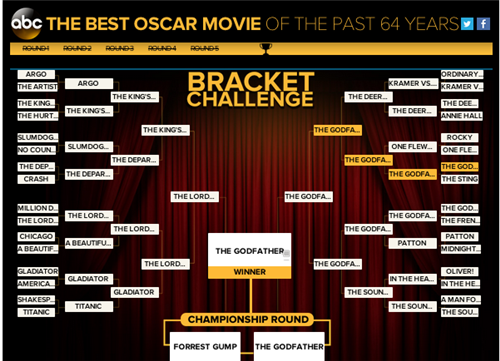 These days, it's common to see interactive online brackets asking us to choose the Best Oscar Movies (ABC) or to pick the world's most beautiful woman (Esquire). Bracketology—the practice of parsing people, places, and things into discrete one-on-one matchups to determine which of the two is superior or preferable—works because it is simple. It is a system that helps us make clearer and cleaner decisions about what is good, better, best in our world. What could be simpler than breaking down a choice into either/or, black or white, this one or that one? "The format is not wishy-washy. It presents clear, inescapable, one-on-one choices. You might debate which of the two choices should advance but it's not like a multiple choice test. Pick one or the other and move on. I think people like that simplicity. You can teach it to virtually anyone." 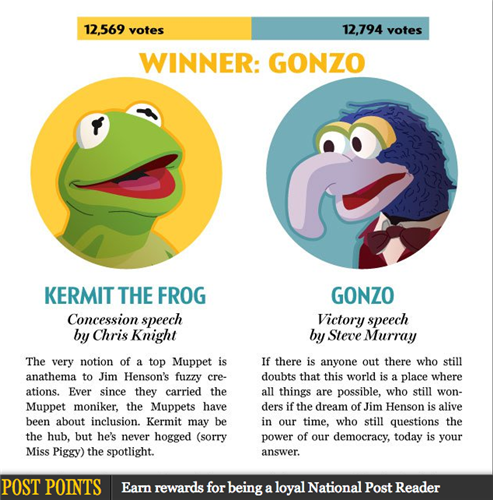 "Neither would have occurred if not for the popularity of the tournament," he said. "My agent read something I'd written about the NCAA tournament and the brackets. He had never thought much about them before. And an idea clicked inside him: What if we applied the knockout formula to various other subjects in sports, politics, entertainment, culture, food, and so on, and hired experts in those fields to play out their own bracket and spice up some of the key matchups with short, pithy explanations?" 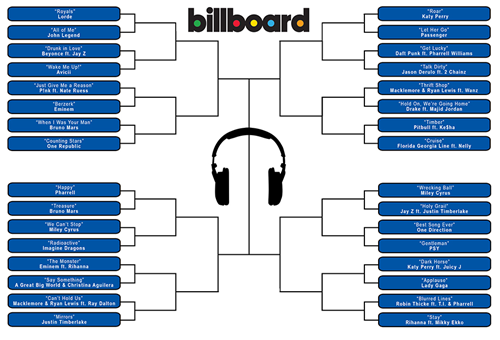 So the next time you fill out your March Madness bracket, or take part in an online tournament to pick your favorite food, travel destination or pop song, remember where it all started.